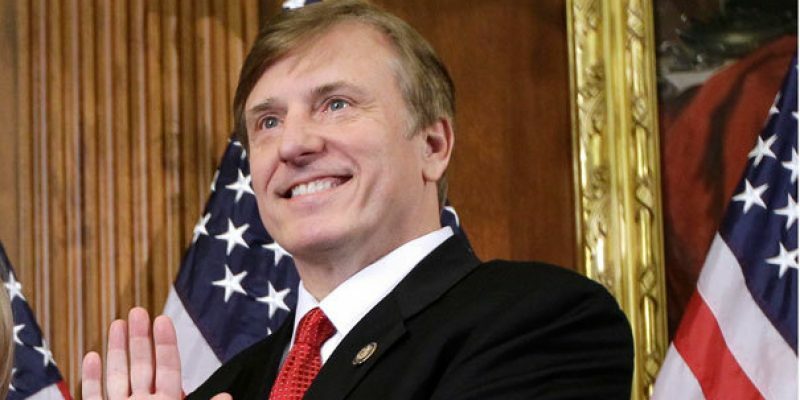 Former U.S. Rep. John Fleming (R) was sworn-in on Friday after being confirmed by the U.S. Senate earlier this month for his presidential appointment to the post of Assistant Secretary of Commerce and head of the U.S. Economic Development Administration. In his position, Dr. Fleming will be tasked with executing the Trump administration’s federal economic agenda according to a press release from the agency. His name was floated as a potential wild-card in the 2019 race to be Louisiana’s next Governor. It was rumored that he would only enter the race with President Trump’s endorsement. It is not entirely clear whether or not the rumors were fabricated by democrat opposition to undermine the two current Republican candidates. Dr. Fleming represented Louisiana’s 4th congressional district from 2008 to 2016 as the predecessor to current second-term Representative Mike Johnson (R). The health professional worked in Washington D.C. since 2017 after being appointed by President Trump to serve as the Deputy Assistant Secretary of the U.S. Department of Health and Human Services. Born in Mississippi, Dr. Fleming became a great contributor to Louisiana as a physician, businessman, and public official. He has owned, operated or partnered with dozens of Subway restaurants and UPS locations throughout Northwest Louisiana. In 2016, the former Congressman opted to run for the U.S. Senate seat vacated by former Senator David Vitter (R). Former State Treasurer John Kennedy (R) ultimately succeeded Sen. Vitter in that race. Previous Article What To Make Of Richard Lipsey’s Demands For A Housecleaning At LSU?